discerning travellers like you often search hard to find the level of service that will make your stay unique. Workers in the hospitality sector work hard to provide those services, and to make sure that guests have a wonderful experience. Those workers also deserve to be treated well. They deserve workplaces free of discrimination and harassment; they deserve decent working conditions; they deserve a living wage. And they deserve to be able to form and join the trade unions that will help them secure these rights. so that together we can advance a vision of Just Tourism around the world. and value good service as much as you do. Bon appétit, and sleep well! 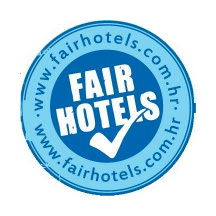 www.fairhotels.com.hr – An initiative by the Union of Tourism and Catering of Croatia (STUH), provides an online list of hotels in Croatia where collective agreements have been negotiated and worker rights are respected. 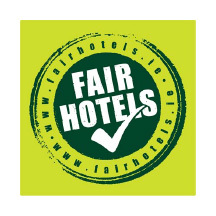 The union is seeking to promote a quality of tourism in which worker rights are embedded and to involve a maximum number of hotels. 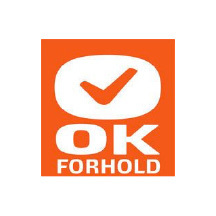 okforhold.dk – is a website created by the Fagligt Fælles Forbund (3F) in Denmark to promote the approximately 2,450 hotels and restaurants that have a collective agreement, which means that employees have secured rights such as a minimum wage, holiday allowance, pensions etc. The website is in Danish but offers translation options. 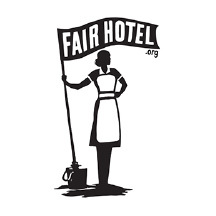 www.fairhotel.org – this is the union hotel guide of Unite Here! for North America. You can search the site by hotel name or city. It provides a list of hotels to patronize, and to boycott. 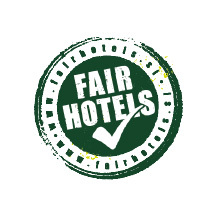 www.fellesforbundet.no/hotell – Fellesforbundet (Norway) website provides a search engine to search all hotels covered by collective agreement, which means that employees have secured rights such as a minimum wage, holiday allowance, pensions etc. Currently, 427 hotels are listed. 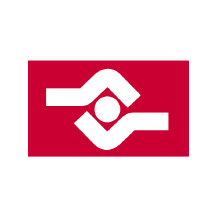 fairhotels.si – campaign in Slovenia is an initiative of SGIT, which represents hotel workers. 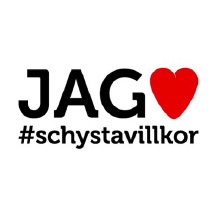 www.schystavillkor.se – an initiative of the HRF in Sweden, this site allows you to search for all hotels, restaurants and other leisure facilities (such as Bingo Halls) which are part of the national collective agreement. You can search the site by business name, type or location.